If you are looking for something that no one else has, we can help you with that. We offer custom wood doors, modern steel doors, and full-view glass doors. Let us know your vision, and we can help you make it a reality! If you are building a custom home with a garage custom designed to meet your family’s needs, you may need a custom garage door as well. A garage door adds or detracts to your home’s curb appeal, and a custom door can take your home’s impact from curb appeal to curb wow! Replacing a run-of-the-mill garage door with a custom garage door will take your upgrade project to another level of excellence. The resale value of a door replacement is upward toward 90% so this is an investment that will bring you a healthy return, if you can bear to part with your upgraded home! Your garage is the workhorse of your home, it serves to protect your valuable vehicles, from your kid’s starter car to your vintage car, your storage boxes, and your work areas. Because it holds your valuables, a garage should be well insulated too, and installed properly so that there are no leakage spots to let the cold or hot air in. 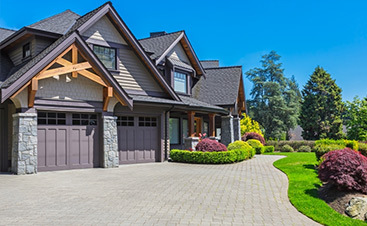 The garage square footage can account for between 20% and 40% of your home’s space, so it makes sense to get the best garage door to protect this space. The garage shares a large amount of wall surface with your home and if you can keep your garage temperature controlled, your electricity bills will benefit. 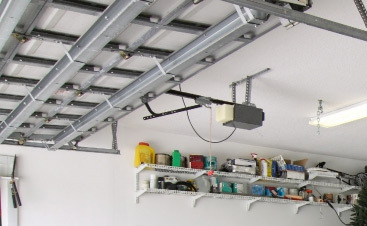 Garage work spaces can be used all year round if they are properly insulated. 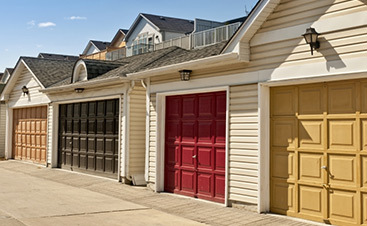 Call Garage Door Service & Sales for the best of custom doors, installation services, and repair services.